I haven't abandoned this blog. I'm not trying to become one of those bloggers who post once a week. 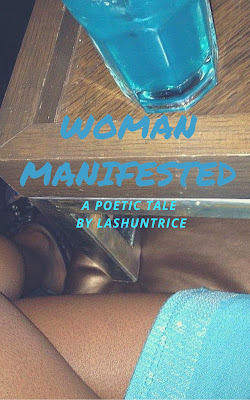 I'm just serious about getting this book, Woman Manifested, published. Well, it's not just the publishing that I'm focusing on. I'm preparing to put together a team of people that will help me promote. One little problem with getting help is always money. "I ain't rich yet, but you know I ain't broke;" (in Post Malone voice). Money is just tight, so I'm trying to spend as little as possible while insuring as many people as possible get exposed to Woman Manifested. If you haven't heard about this book yet, read about it on LinkedIn.